Sarah Stolfa is the founder and Executive & Artistic Director of the Philadelphia Photo Art Center. 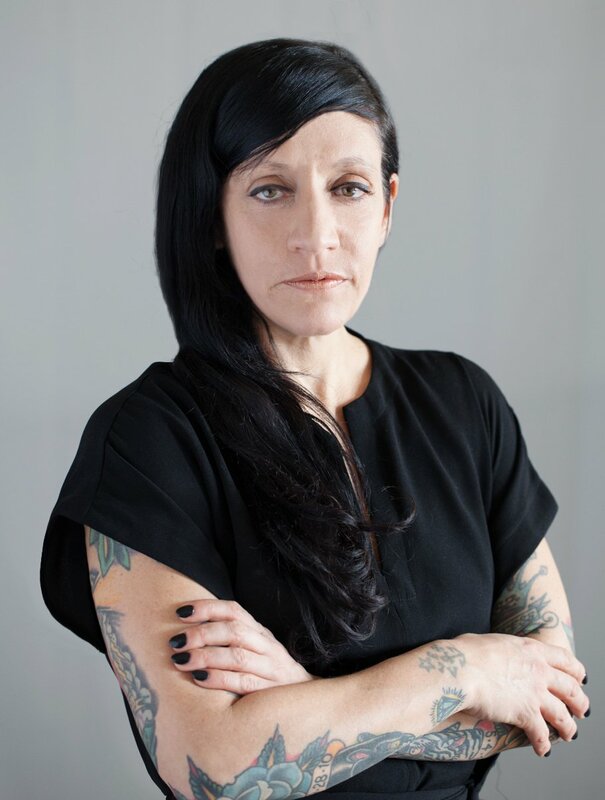 Stolfa is an artist and educator with a broad range of experience, education, curatorial work, program development, administrative oversight and digital lab creation and management. She has an MFA in Photography from Yale University School of Art. In addition to teaching at PPAC, Stolfa is an Adjunct Professor at the University of Pennsylvania. She has participated in countless group and solo shows and her work is collected both publicly and privately. Originating in 1975 as the Paducah Summer Festival Photo Competition, Paducah Photo has grown from a fledgling contest into an international juried exhibition. Over the past 40 years, this exhibition has become one of the Mid-South’s most prestigious annual photographic events. In 2013, Paducah was bestowed the honor of being designated a member of the United Nations Educational, Scientific & Cultural Organization (UNESCO) Creative Cities Network in the area of Crafts & Folk Art. To embrace both this international honor and reflect the international growth of the exhibition, this year Paducah Photo will take on a new name, Art Through the Lens. Art Through the Lens is open to all without restrictions on content. It provides photographers with an outlet for their art, encouragement for growth in their vision and presentation and cash rewards for works of exceptional merit. Each year from the hundreds of works submitted, 60 – 100 images are selected for exhibition by a highly qualified juror, with five of them receiving cash awards. An awards presentation will be held during the opening reception. Yeiser Art Center is a non-profit visual arts organization celebrating more than fifty years of serving the community with exhibitions and education throughout the Tri-State Region. It is situated near Paducah’s riverfront at 200 Broadway in the historic 1905 Market House building. Artists may submit up to 4 photographic images. All photo-based imagery created through photographic processes is eligible including non-lens made images. All work submitted must be original, completed in the last three years and not previously exhibited in a Paducah Photo exhibition. Size restrictions: No single work may be more than 6 feet in width and 8 feet in height. ENTERING - Deadline for online entries is 11:59pm CST on June 24, 2016. Entries are now submitted solely online through CaFE, a call for entry hosting site. Click here to enter the CaFE site. If one or more of your works should be accepted into the show, you will receive subsequent instructions on final presentation. No more than 4 photographs may be submitted by any photographer. A nonrefundable entry fee of $10 is required for each photograph submitted for consideration. Entries submitted via email or mail to the Yeiser Art Center will not be accepted. Exhibition dates: August 6 – September 24, 2016. All entries selected for exhibition will be notified by July 5, 2016. Work must arrive at the Yeiser Art Center no later than August 2nd, 2016. Accepted entries must be shipped prepaid and include prepaid return shipping with label. Only FedEX and UPS shippers are allowed. All work, if not framed, must come with museum quality display hardware and instructions for hanging. The Yeiser Art Center will provide printing solutions for artists who request it. Additional instructions will be sent to accepted entrants. For specific shipping or framing questions or concerns, please call YAC at 270-442-2453. Sales will be encouraged where works are offered for purchase, but work need not be for sale to enter. Yeiser Art Center will keep the standard gallery 40% commission on all sales, so price your work accordingly. Work will be insured for the duration of the exhibition for the value of the work, or 60% of the retail price. Artists are responsible for insuring their work during transit to and from the Yeiser. Yeiser Art Center will take all due care in the handling of entries but cannot accept any financial liability for loss or damage of any entry. If an artist fails to pick up work or provide a return shipping label during the work return period, after 30 days, the Yeiser Art Center shall have the right at its discretion to dispose of the work as they see fit. Artists not wishing to pay for return shipping may request the work to be destroyed or allow the Yeiser Art Center to sell the work to support the organization’s mission. Art Through the Lens is a juried competition. All entry fees are nonrefundable. There is no assurance implied that any given entry or group of entries will be juried into the show and included for display in the final exhibition. Open to all photographers. Employees, staff, and board and committee members of the Yeiser Art Center, and employees of Paducah Printing and Horizon Media Group are ineligible. Participating photographers retain ownership of all photographic copyrights but in consideration for inclusion in the exhibition grant Art Through the Lens the right, without compensation, to reproduce said photographs for the sole purpose of press releases, web site inclusion, marketing and the promotion of present and future Art Through the Lens competitions. Art Through the Lens includes a second venue that will feature photography by regional photographers. The Art Through the Lens, Regional Showcase exhibition will be held at Maiden Alley Cinema during the Art Through the Lens exhibition. Accepted Regional Showcase entries will be notified July 12, 2016.